A Complete Wireless Spy Camera Kit System (19 value) are included: Wireless color pinhole camera Camera metal bracket Stand for easy installation Camera Signal Receiver (no audio) DC + 12V/500mA power adapter for receiver DC + 8V/200mA power adapter for camera AV Cable Battery Clip Connector Receiver antenna Manual This New Model 2007 High Power Wireless Pinhole Surveillence Color Camera that can provides up to 500ft range and better picture quality. All cables & adapters are included so it can be easily installed in a few minutes to your tv, vcr or computer that has tv tuner or capture card. 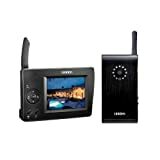 The Lorex LW2701AC1 VGA (640 x 480) resolution camera IR night vision Built-in PIR motion sensor for accurate motion detection Durable weather resistant housing for indoor/outdoor use Built-in microphone and speaker for listening and speaking (2-way audio) SMA connector allows for the usage of higher power antennas to extend wireless range. Expand your system with the LW2701AC1 Ultra Digital Wireless Accessory Motion Camera. 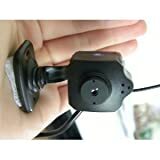 Compatible with the LW2702 Ultra Digital Wireless 4Ch Video Recording Solution, the accessory camera features durable metal weather resistant construction, a PIR motion sensor, and microphone/speaker (2-way Audio) for speaking/listening. Durable weather resistant metal construction makes the camera ideal for indoor or outdoor installations. SMA connector allows for the usage of higher power antennas to extend wireless range (antennas sold separately). 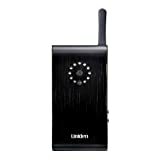 The UDW10003 digital wireless surveillance system by Uniden offers security and peace of mind with the convenience of a portable monitor receiving a video camera. 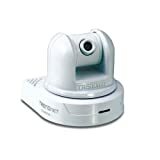 Included in the digital surveillance system is a portable UDWC23 camera and a colored video display. The system comes with the Uniden Security Surveillance software allowing features including smart motion detection, record scheduler, and detection sensitivity so you can have detailed playback of the footage recorded from your pc. The 3.5-inch color screen supports up to four cameras with quad playback so you can view up to four cameras at once. Other views include auto scan and individual view. Use the digital zoom and pan capabilities to retrieve detailed information that is difficult to see under normal view. 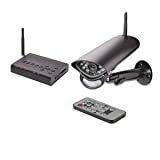 The wireless surveillance system uses 2.4 digital FHSS, which means zero interference from other devices and prevents any hacking into your system. The portable LiON rechargeable battery offers up to 4-hours of life for the camera and 8-hours for the base.